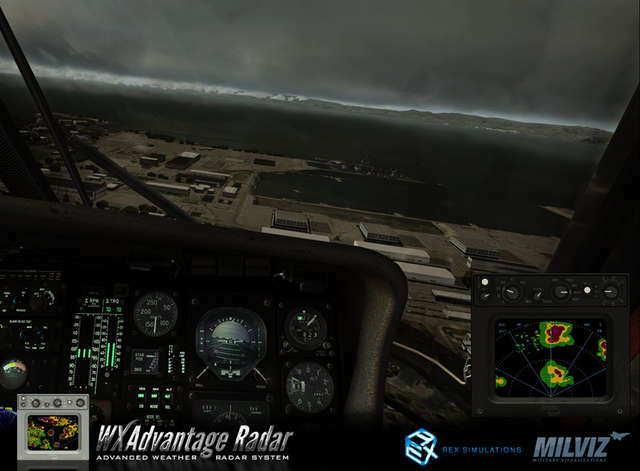 MilViz and REX Simulations have partnered up to solve the difficult challenges related to a fully functional weather radar - combining a modernised airborne radar with sophisticated digital signal processing, resulting in a superior multi-functional hazardous weather detection and avoidance system. 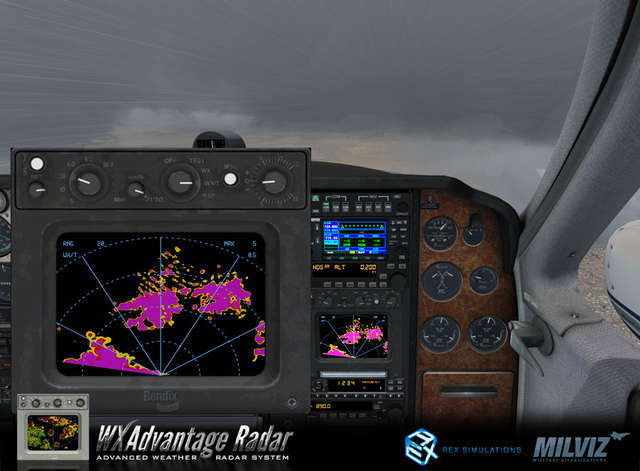 The WX Advantage Radar System is a unique, advanced weather radar system that can be used with ANY third party weather engine or freeware weather engine, as well as with the built-in weather of the flight simulator. 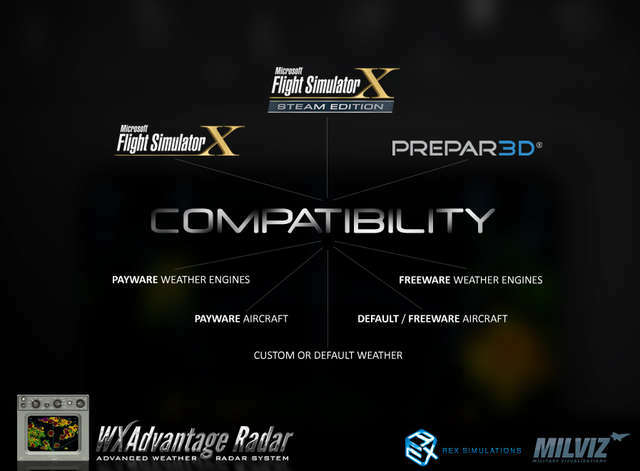 Compatible with Flight Simulator X, FSX:Steam Edition and Lockheed Martin Prepar3D. 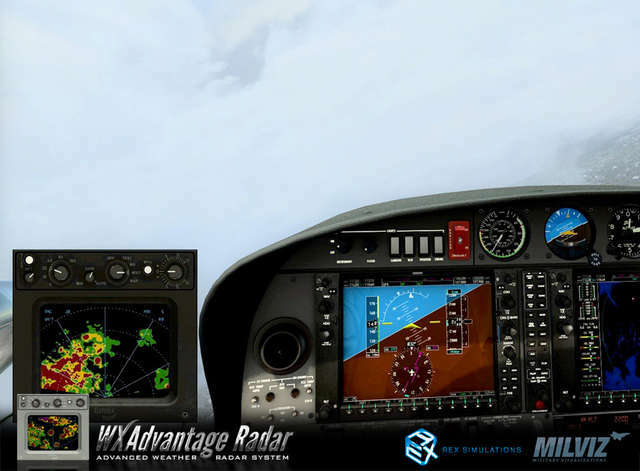 Each WX Advantage Radar licence allows activation for all three flight simulators! Turbulence 'intelligence' is built in to isolate potential radar echoes that may contain moderate to severe turbulence. The WX Advantage Radar System includes full TILT functions to analyse the complete scale of storm structures in real time and accurately represents the effect of radar attenuation when larger more dense cells are in front of other cells – causing a rain shadow effect. 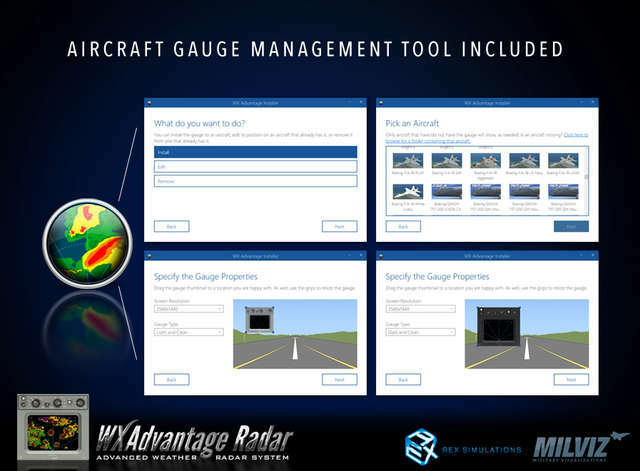 An intuitive, simple-to-use Aircraft Gauge Management Tool is also included! 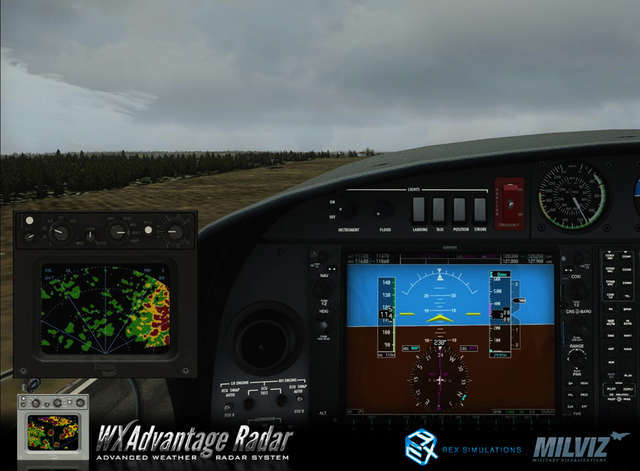 This tool allows the installation, editing, and removal of the 2D weather radar gauge for any default or third party aircraft in a few simple steps. The Aircraft Gauge Management Tool includes FOUR different types of 2D gauge: Dark and Clean, Dark with Dirt, Light and Clean, Light with Dirt. 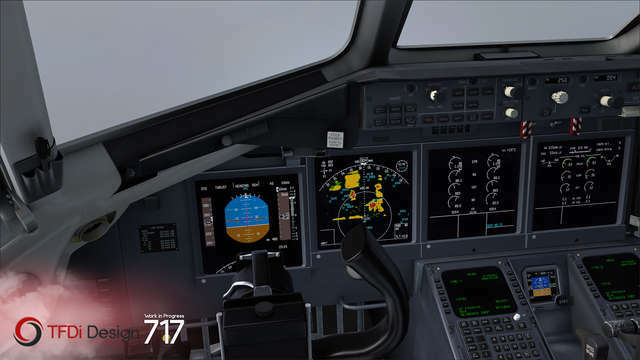 You can select which version best represents the cockpit you are flying in as well as easily adjust the aspect ratio, size, and location of the radar gauge prior to opening the flight simulator. Includes a full active transmitter/receiver range up to 160NM (FSX and P3D do not support ranges greater than 160NM). User Manual available to view here. 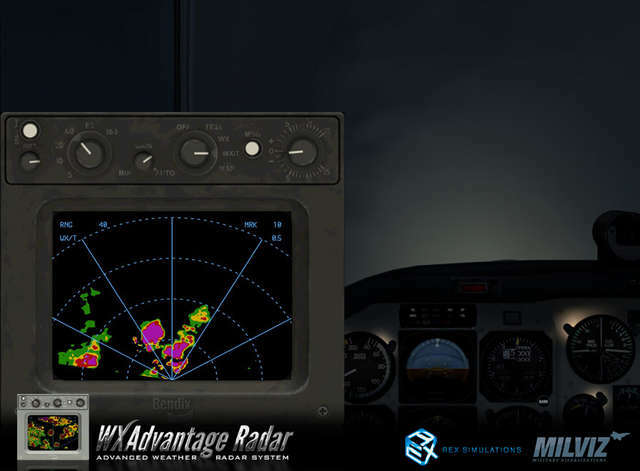 The WX Advantage Radar is modelled after the Bendix RDR-4B system. 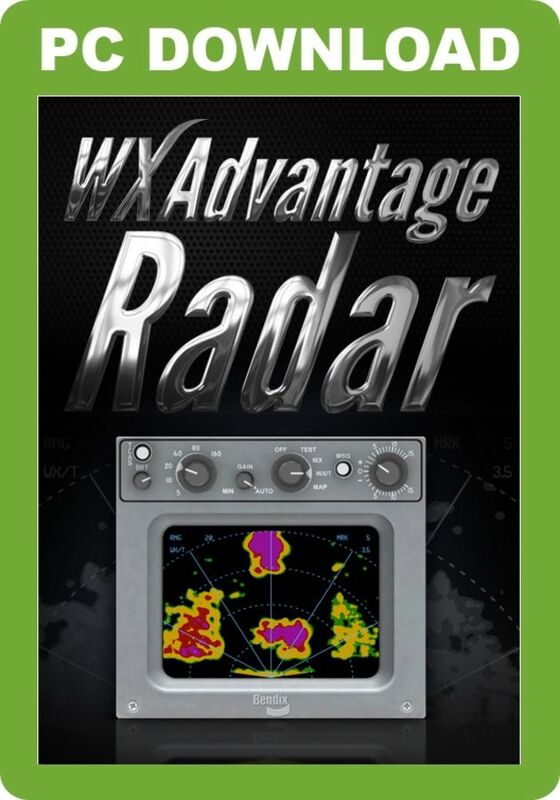 State-of-the-art processing enables the WX Advantage system to provide higher standards of performance and reliability than have ever been achieved before. 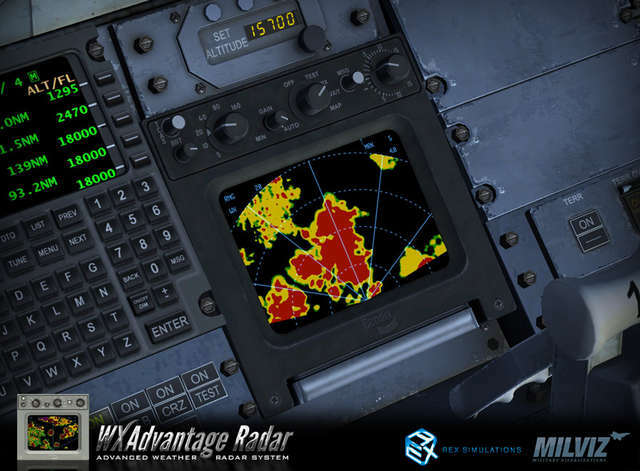 The WX Advantage Radar features a non-fading, high resolution colour display of precipitation data at selectable ranges up to 160 nautical miles (NM). The system continuously measures four levels of precipitation: green for light precipitation, yellow for moderate, red for heavy, and magenta for severe precipitation and turbulence. The system utilises a high resolution 3D precipitation density map, which takes advantage of video hardware acceleration for greater performance and level of detail. Compatible with ALL third party and freeware weather engines, as well as default weather for FSX, FSX:Steam and Prepar3D! 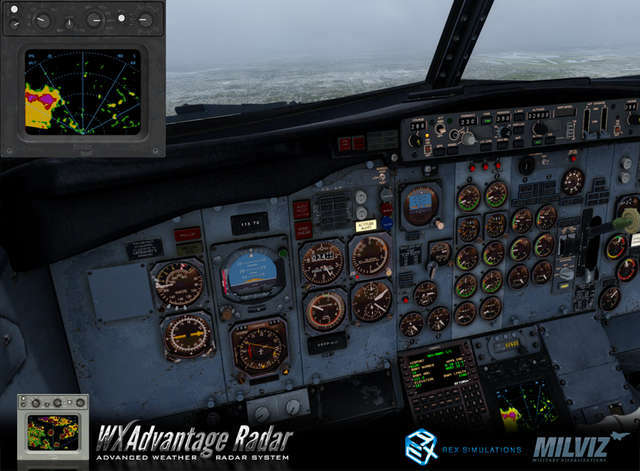 Not only is the WX Advantage Radar compatible with FSX, FSX:Steam and Prepar3D, it is also compatible with ALL payware and freeware weather engines as well as payware and freeware aircraft! 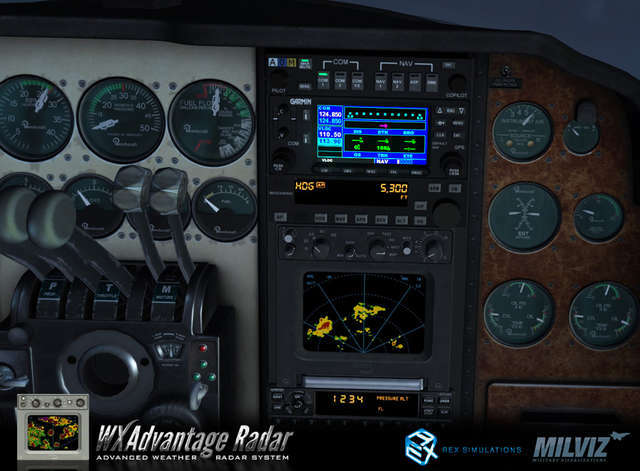 Each licence of the WX Advantage Radar allows activation for all three flight simulators. An intuitive, simple-to-use Aircraft Gauge Management Tool is also included! 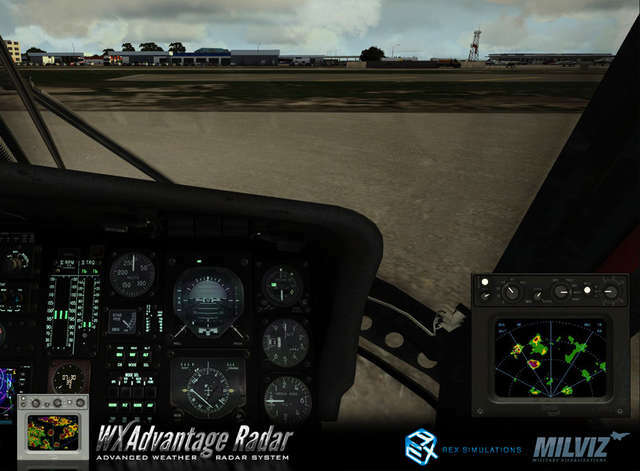 This tool allows the installation, editing and removal of the 2D weather radar gauge for any default or third party aircraft in a few simple steps. 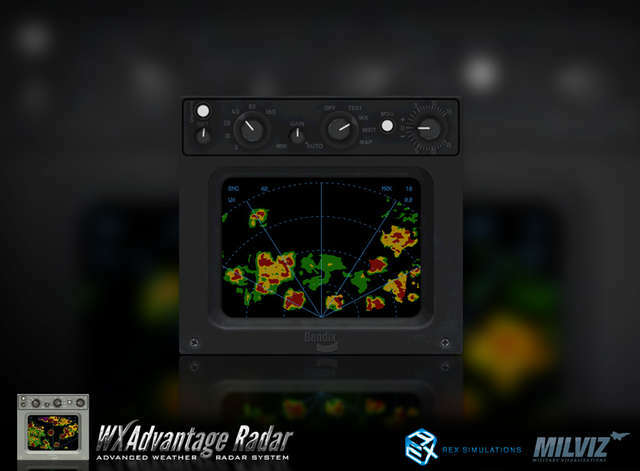 The WX Advantage Radar System includes full TILT functions! The system will analyse the complete scale of storm structures in real time and accurately represents the effect of radar attenuation when larger more dense cells are in front of other cells – causing a rain shadow effect. Includes a full active transmitter/receiver range up to 160NM. 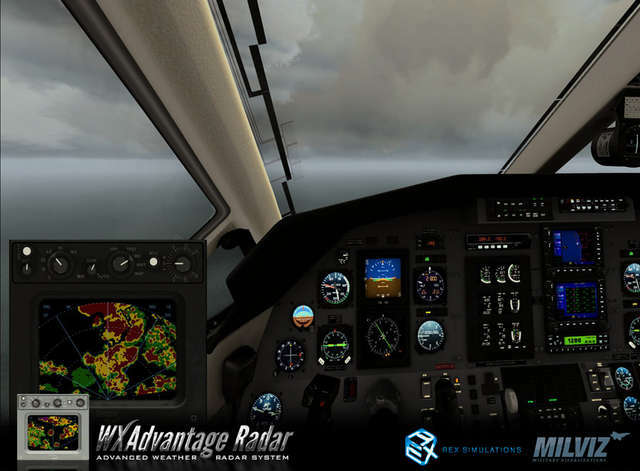 This superior multi-functional hazardous weather detection and avoidance system for FSX and P3D is compatible with any third party weather engine as well as with the default weather. 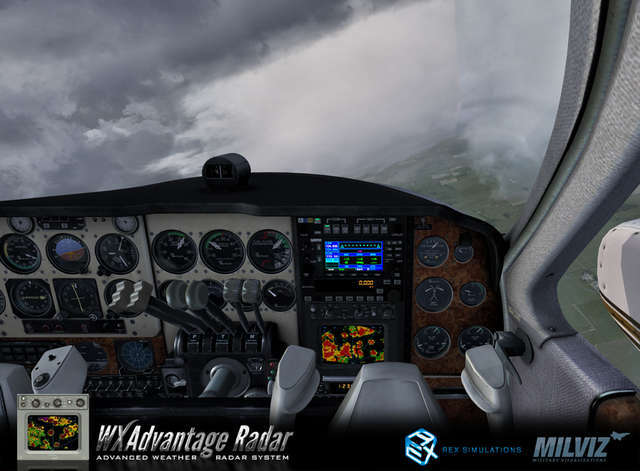 Among the features are unique cloudscan and precipitation sync features, high resolution 3D precipitation density map, built-in turbulence 'intelligence', full TILT functions and an intuitive Aircraft Gauge Management Tool for the easy installation of the 2D weather radar gauge in any default or third party aircraft.